Beef broccoli gets an Asian twist in this super easy version of a classic dish. 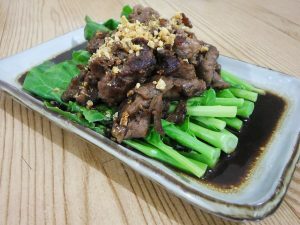 For a super easy and fast dinner recipe or just something special for the family, try this Asian style beef broccoli and it might just become one of your favourite go-to recipes. Let’s Heat Up the Kitchen! 2. 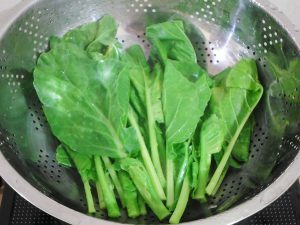 Steam the Chinese broccoli until it is done but not soggy. It is important to retain the bright green colour for the visual appeal of the meal; plus the crunchy texture of the cooked vegetable add a certain freshness to the dish. 3. 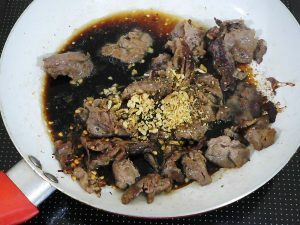 Cook the beef in the cooking oil until browned. It would only take 3 minutes in medium to high heat because the beef is very thinly cut. 4. 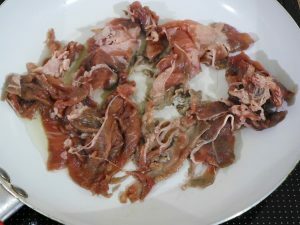 Once the beef has been cooked and browned, add in the water, soy sauce, brown sugar, half of the garlic, the red chili flakes and black pepper. Simmer for 3 minutes. 5. 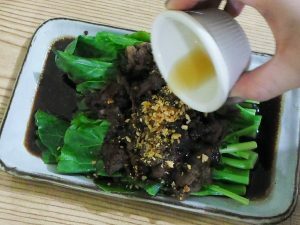 On a serving dish, arrange the Chinese broccoli and spoon the cooked beef and the sauce over it. Top with the rest of the garlic flakes and drizzle in the sesame oil. 6. Serve and enjoy! 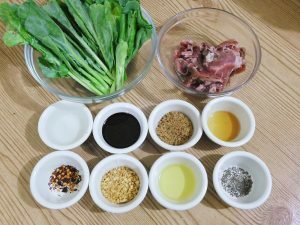 This recipe serves 2-4 individuals depending if the dish is to be served as a side dish or a main dish. It’s a visual treat for sure!